America’s 49th state is famous for its natural beauty. It’s on a lot of bucket lists as a travel destination, but what’s it like to live there? If you’re thinking about moving to Alaska, it’s helpful to know what you’re getting yourself into. Read on for our list of 15 things to know before moving to Alaska. 1. You’ll never get used to how beautiful Alaska is. No matter how long you live in Alaska, you’ll probably never take its natural beauty for granted. Even lifelong residents have their breath taken away by pink alpenglow on snow-covered mountains or by a field of fireweed in full bloom. Even if you’re moving to Alaska for a job and not because you’re an outdoor enthusiast, you’ll still feel the state’s beauty. 2. The cost of living is high. The cost of living is high in Alaska. In part, that’s because so much has to be shipped there at great expense. That means grocery items are notoriously expensive in the state – more so if you live somewhere off the road system. You may choose to supplement your grocery supply by fishing in the summer. 3. You have to make a little bit of an effort to see the Northern Lights. You can see the Northern Lights in Alaska, but depending on where you live you might have to make an effort to do so. If you live in an urban center like Anchorage where light pollution is an issue you might have to drive out of town to a dark area where the aurora borealis will be visible. In many cases, you’ll have to stay up late or wake up early to see the lights. Either way, it will be worth it. 4. Large swathes of Alaska aren’t on the road system. Alaska is by far the biggest state in the Union, and much of the state is only accessible by plane or boat. Unless you have lots of money to spend on travel – or your own plane or boat – you probably won’t see everything. And that’s okay. Still, it’s a good idea to get out of your own region of Alaska. For example, if you’re moving to Anchorage, make sure you check out Southeast Alaska (Juneau) or the Interior (Fairbanks). 5. The Alaska State Fair is a big deal. The Alaska State Fair, held every year around Labor Day in Palmer, Alaska, is a major event. Out-of-town musicians come for outdoor concerts and vendors from all over the state gather to sell crafts, whip up delicacies like salmon quesadillas or show livestock. 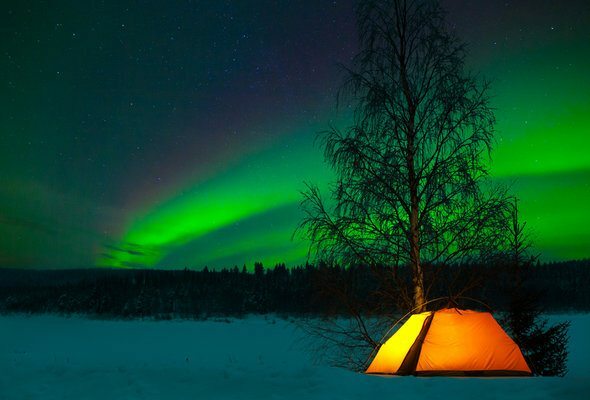 It’s a hugely popular event and definitely worth experiencing at least once after moving to Alaska. 6. It’s a good idea to learn basic bear safety. There are plenty of risks that come with living in Alaska, from avalanches to frostbite and more. One of these risks, especially if you’re planning on doing a lot of hiking and backpacking, is bears. 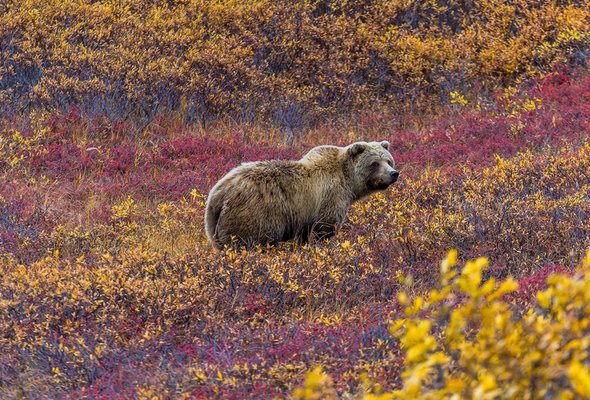 Bears generally avoid humans, but it’s worth taking the time to read up on how to avoid scaring a bear and what to do in the event of a confrontation. 7. The swings in daylight are no joke. In Alaska, winter nights are long and summer nights are short. Depending on where in Alaska you settle, you might see the sun go down in the fall and come up in the spring. You can bask in the glorious Midnight Sun in the summer, but the price is a long, dark winter. If you’re prone to seasonal depression, it’s a good idea to have a plan for how you’ll cope after moving to Alaska. 8. The subsistence way of life is alive and well in Alaska. 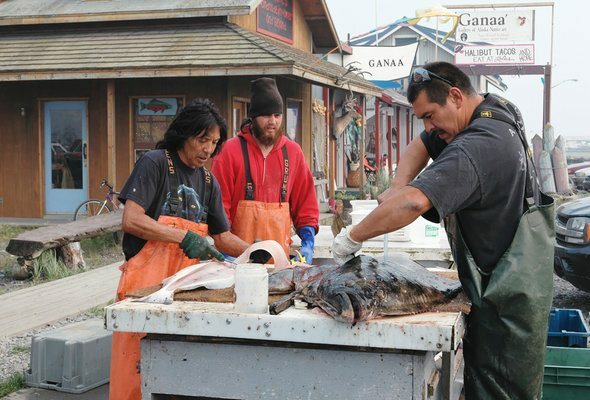 While many Alaskans hunt, fish and gather berries for sport, others do so as part of a subsistence way of life. Alaska has many thriving Native communities in which residents live off the land and eat the foods their ancestors ate. 9. Alaska’s Native heritage is rich and diverse. Speaking of Alaska’s Native community, did you know there are 227 federally recognized tribes in Alaska? 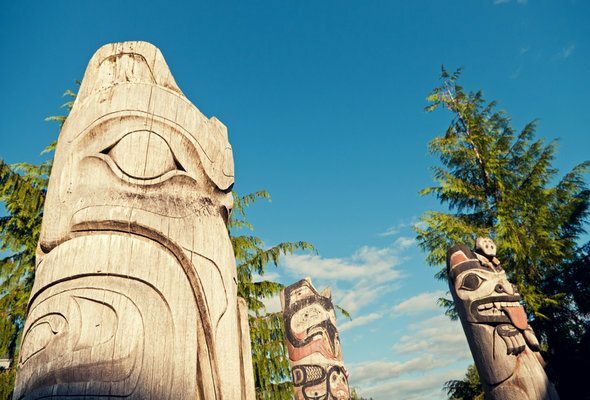 If you’re moving to Alaska without a lot of background knowledge on the state’s First Nations inhabitants, you can head to the Alaska Native Heritage Center – located in Anchorage – for an introduction. Alaska is often referred to as “ground zero” for climate change. The state’s arctic location means it’s changing rapidly as the planet warms. Glaciers are receding and wildfires are increasing in frequency and severity. That’s not to warn you against moving to Alaska, but it’s worth knowing before you go. 11. 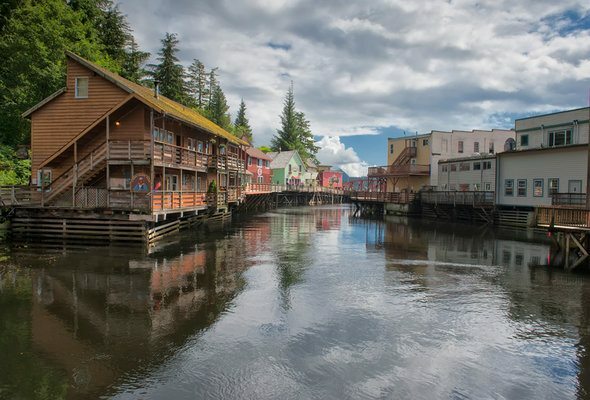 Yes, Alaska pays you to live there. Alaska residents get a Permanent Fund Dividend that varies in size from year to year but tends to be between $800 and $1,100. For many people, that’s a huge attraction. And the PFD makes a big difference to the budgets – and lives – of many Alaskans. Others who don’t need the money for day-to-day expenses can use it to save for retirement or take a trip. Alaska’s state budget has its ups and downs, but many residents hope the PFD will always be around. 12. Wildlife encounters are pretty common in AK. Living in Alaska can mean pulling over to let a moose cross the road, watching bald eagles soar overhead as you’re heading to meet friends or seeing beluga whales from a bike trail. And the more you get out into the wilderness to hike, kayak and pursue other outdoor activities, the greater the chance that you’ll see some of the state’s magnificent wildlife. 13. The government is accessible. Alaska is a small enough state that you might see your state senator at the gym or run into the governor on a flight from Anchorage to Juneau. If you’re politically active yourself, you might be pleasantly surprised by how accessible politics and elected officials are in the 49th state. 14. People dress for the weather. You don’t have to worry too much about keeping up on the latest trends in fashion after moving to Alaska. People are more likely to dress for the weather, even if that means wearing hiking boots to a fancy restaurant. That doesn’t mean your clothing budget will be small, though. Performance gear, good parkas and dependable boots can all be pricey. 15. Lots of Alaskans can fly. It’s fairly common for people to go for a pilot’s license after moving to Alaska. 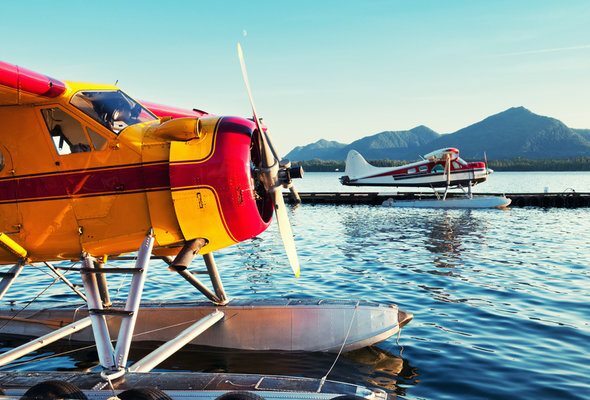 Seeing the state by air is like nothing else and in many places small planes – including float planes like the one pictured – are essential for transportation. You don’t have to become a pilot yourself, but you might want to get comfortable flying in small planes. It’ll open up more options for you to sightsee and get around the state. Moving to a new state can have a large impact on your budget. It’s important to know about the tax implications – not just on your income but also on your property taxes and your paycheck. On the plus side, Alaska has no estate tax. If you are moving to Alaska you probably want to see how your budget will be affected. If you want help with how it will impact your finances or are looking for someone to help you meet your financial goals in general, a financial advisor might be useful. A matching tool like SmartAsset’s can help you find a person to work with to meet your needs. First you’ll answer a series of questions about your situation and your goals. Then the program will narrow down your options to up to three financial advisors who suit your needs. You can then read their profiles to learn more about them, interview them on the phone or in person and choose who to work with in the future. This allows you to find a good fit while the program does much of the hard work for you.